If you have some extra cash lying around and are looking to make an investment, your best bet is real estate. The value of a home tends to go up over the years, especially if you put some love and care into the property while you own it. The main question is the type of property you should be investing in. There is some debate on whether or not you should purchase a vacation property, like a beach house or mountain cottage. Don’t let this stop you from browsing for co mountain homes for sale and purchasing the property of your dreams. No matter the controversy behind it, many homeowners aspire to one day own a cabin surrounded by stunning mountain views. There are plenty of reasons for wanting a cozy home nestled between mountain peaks, and here is why it is worth every penny. No matter where you currently live, having the ability to escape to the serenity of the mountains is well worth the investment. Whether you reside in the big city or the suburbs, there is nothing that compares to spending time in nature. If this won’t act as your second property but rather your full-time home, even better. For many people, it is unrealistic to sell their existing house and move to the mountains. No matter how much you want to, job commitments and social ties to friends and family can be the determining factor. But that does not mean investing in a mountain property is entirely out of the picture. 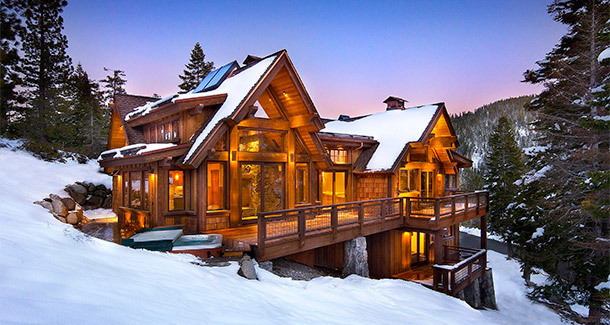 There is a high demand for rustic mountain cottages and cabins among vacationers everywhere. Who says that a vacation needs to include crashing ocean waves and sand castles? Plenty of people would prefer to spend their holidays surrounded by trees and mountain peaks. Renting the new mountain property could essentially pay for itself. If renting is your only option in order to afford a mountain property, you might be thinking the workload isn’t worth it. Dealing with renters and keeping the cabin up-to-snuff can be challenging. However, there are plenty of rental management companies to help you along the way. This is especially true in mountainous areas where vacationers frequent. The entire rental process could be completely hands-off when you choose a reputable company to manage it for you. You’ll have to pay a percentage of each rental to the management team, typically around 20-25%. This is completely worth it since you won’t have to deal with the stresses of renting on your own. No matter where your current home is, there is a good chance that the mountains are within a short drive. For those purchasing in a cabin as a second property, this is essential. Nobody want to spend 9 hours in the car or deal with airport security just to get there. With a second home so closeby, it is as easy as hopping in the car to spend a long weekend in your picturesque mountain home.